This looks super complex but it was actually a rather straightforward method. Because YWASC is a matte glitter topper for Halloween I wanted to make it look a little more festive and happy. As it is its full of black, orange, and purple hexes and also contains little black hearts and black and silver stars. 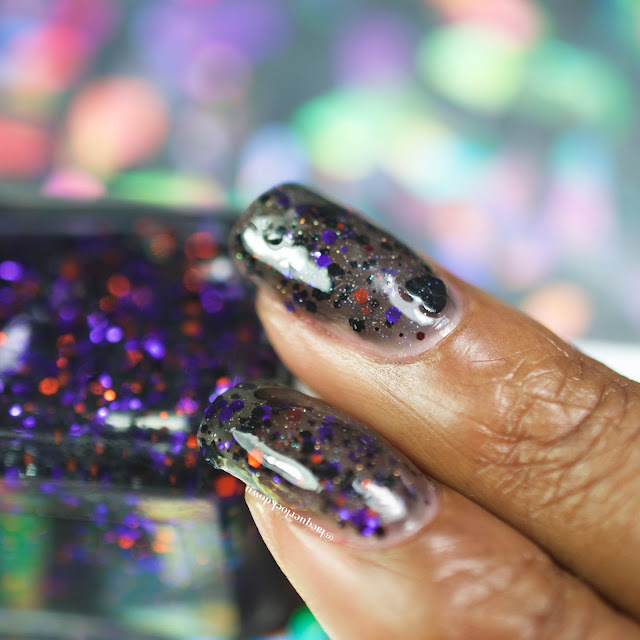 So I created a jelly sandwich with Northern Lights for a bit of sparkle and applied 2 healthy coats of topcoat. I think this is actually one of my more successful jelly sandwiches so I'm quite pleased. As you can see the orange and purple really pop right out at you. 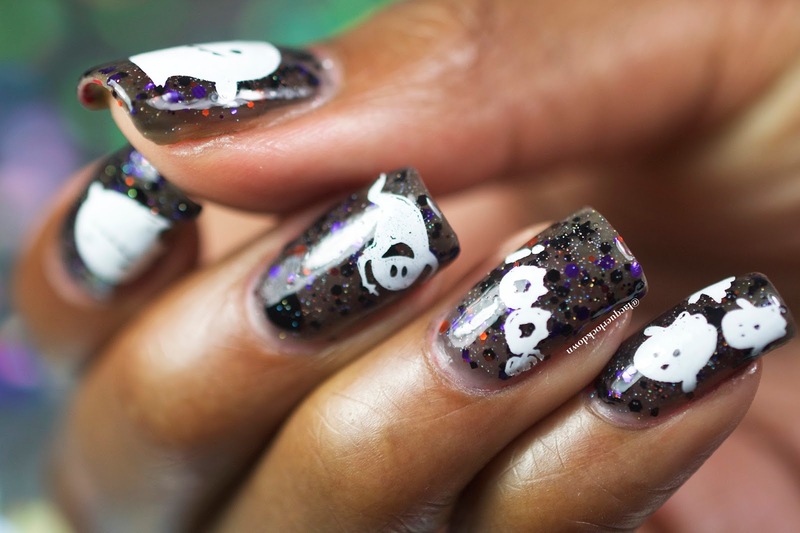 This is so perfect and cute for the Halloween season. Just a little more macro so you can see "inside" the sandwich. For this one I kept the nail art very simple. I wanted to play to the name of the polish. Yeti being a little scaredy cat and all hides the minute any ghosts come out to play. Boo! Lol I broke out my trusty Bunny Nails plates for this. 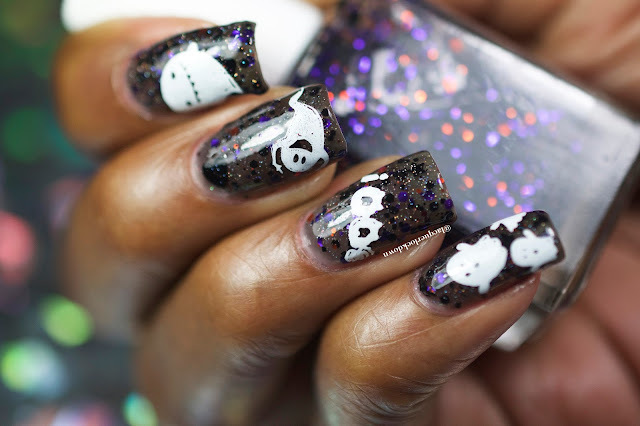 If you've read my favorite plates for Halloween post you know these are some of my absolute favorite plates for Halloween nail art. This polish was sent for my honest review. For more info please see my Disclosure Policy.